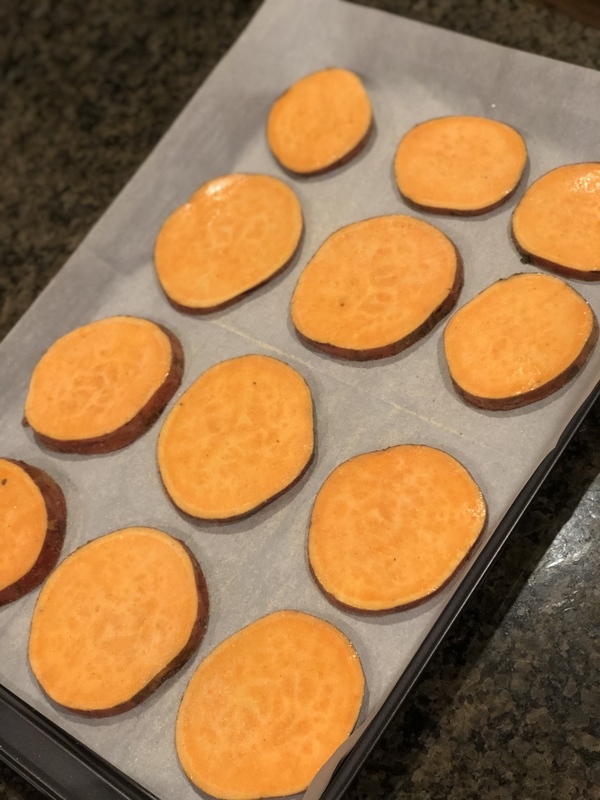 One thing that I was grateful for while completing the Whole30 program was the fact that potatoes were allowed. If it weren’t for potatoes, most days, I would’ve been a hangry mess! As with many of the ingredients allowed within the program, I got creative. Since I couldn’t have my usual pizza on Friday nights, I opted for sliders. But what’s a slider without a sweet, fluffy bun? 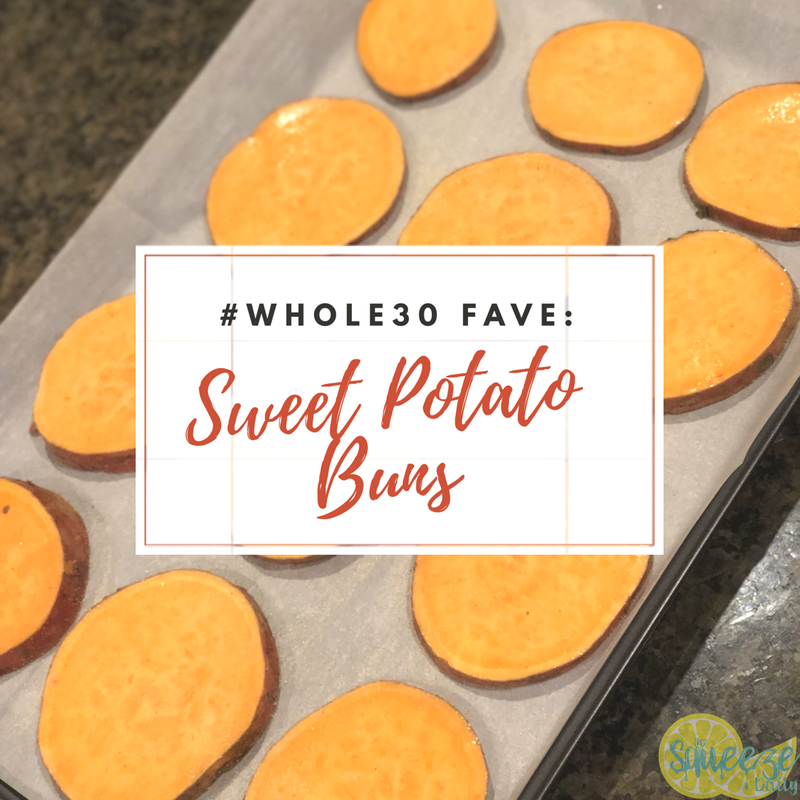 Whole30 sweet potato buns to the rescue! 2. 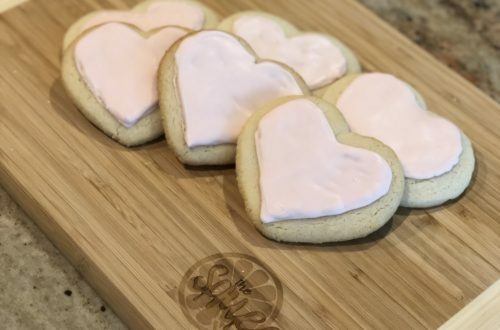 Line baking pan with parchment paper. 3. Carefully slice a large sweet potato at each end, saving the ends for use later. 5. 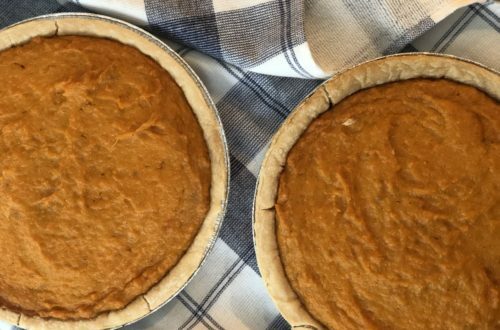 Place slices into a bowl, toss with olive oil, and add seasonings. These buns were perfect for the pulled buffalo chicken sliders I made using Primal Kitchen mayo with avocado oil and Frank’s RedHot (which is also Whole30-compliant).